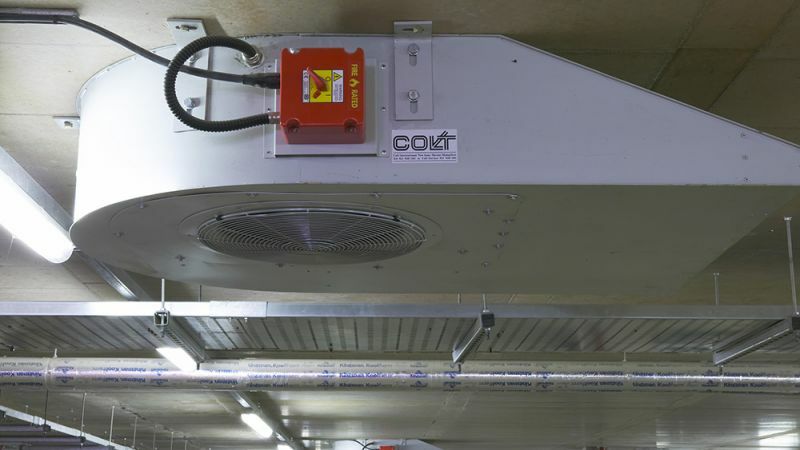 Colt Cyclone is a low profile, high velocity induction fan intended to control air movement in a car park or underground service area, directing polluted air and smoke towards the extract positions. 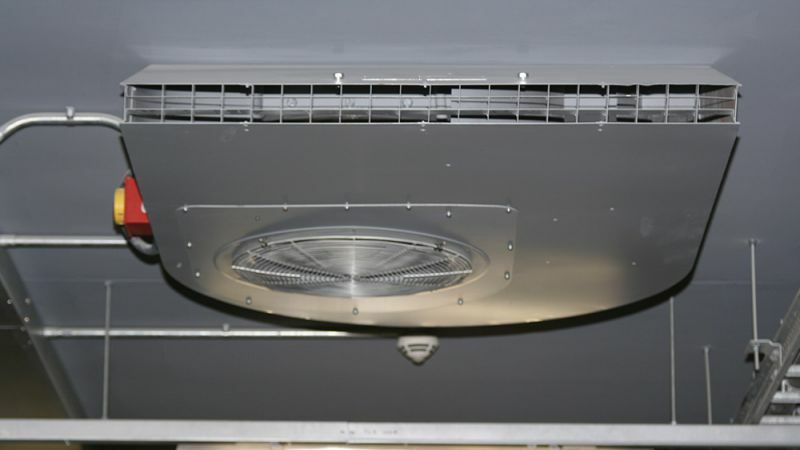 It is tested and certified to EN 12101-3. 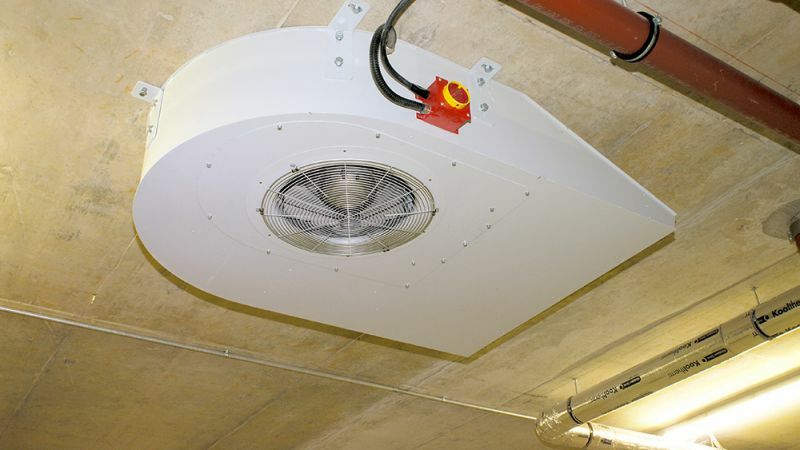 Cyclone is designed to reduce the concentrations of polluted air and to assist with the extraction of smoke in the event of a fire. 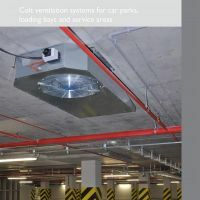 Colt Cyclone Car Park Induction Jet Fan – for controlling air movement in a car park or underground service area. 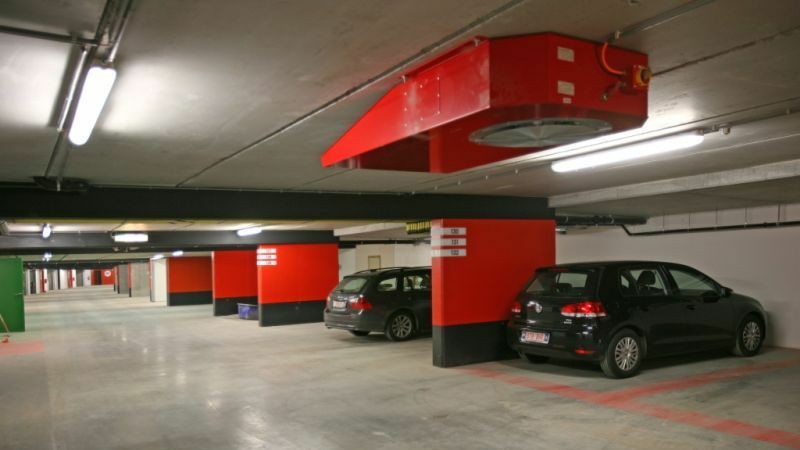 Tested and certified to EN 12101-3. 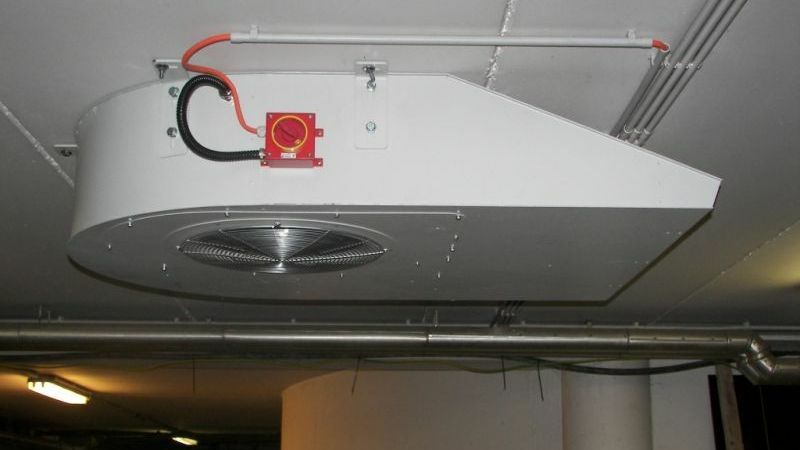 Low profile high velocity powered car park induction ventilation unit, for directing exhaust fumes (in day to day mode) and smoke in a controlled manner towards the main extract positions of a car park or underground service area. 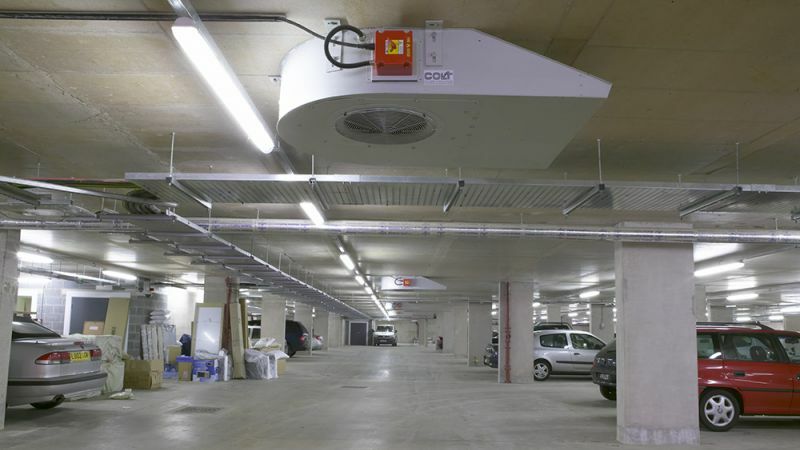 Incorporating a backward curved centrifugal impeller within a low profile slim-line casing manufactured from pre-galvanised steel with an outlet diffuser enabling flush fit with the underside of the car park ceiling.